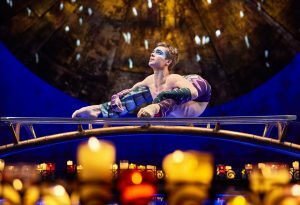 The name Cirque du Soleil conjures images of colorful performers doing dazzling and daring feats accompanied by ethereal music and thematic settings that often defy description. 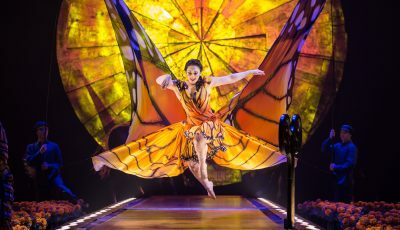 Such is the case with “Luzia,” the current touring Cirque du Soleil show that is currently entrenched at the OC Fairgrounds in Costa Mesa through March 25. 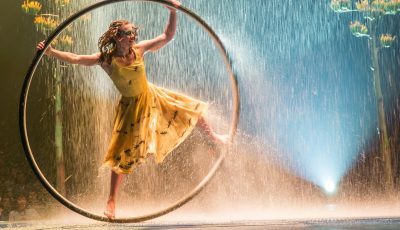 The Cirque team describes “Luzia” as a visit to an imaginary Mexico, like in a waking dream, where light (“luz” in Spanish) quenches the spirit and rain (“lluvia”) soothes the soul. 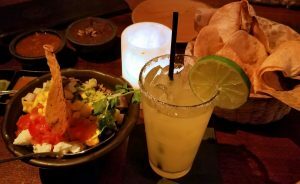 It is indeed a surrealistic journey, but before seeing “Luzia” last week, we decided to stick with the Mexican theme and dine at SOL Cocina on Coast Highway. 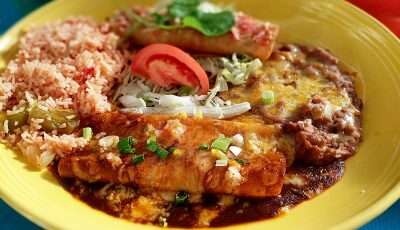 Executive Chef Deborah Schneider has concocted a classic and creative south of the border menu based on her many trips to Baja California. 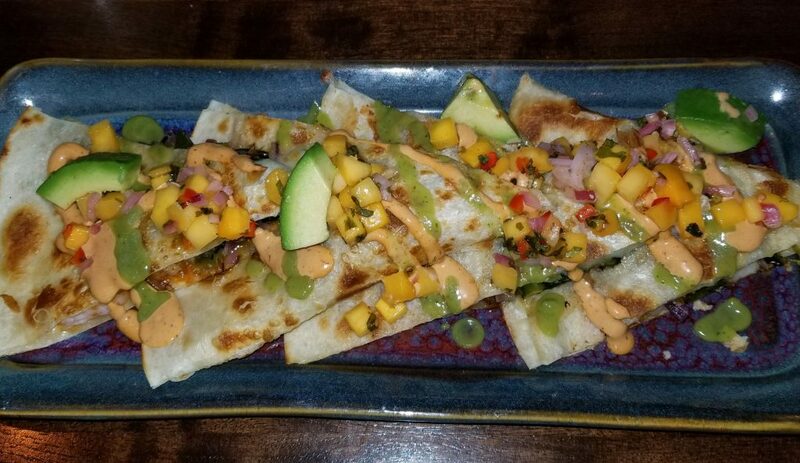 “I enjoy the wonderful and fresh flavors that are seen throughout the drinks and food menu at SOL Cocina,” noted Shelly, who started with a blackberry and ginger margarita, while Christopher stuck to the classic house margarita. 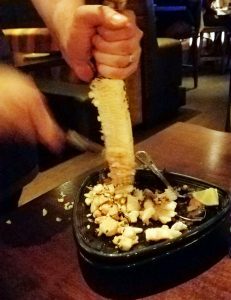 “Let’s try the SOL guacamole ($10.75) with mango, tequila and goat cheese—that sounds fun and different,” said Christopher. 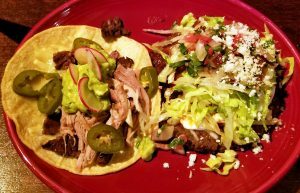 For entrees, we decided to share a short rib taco ($11), chicken taco ($8.75), and Shelly’s favorite—the chipotle shrimp quesadilla ($16.50). After a fun and satisfying dinner, we drove to the big white Cirque tent at the fairgrounds and found our seats inside. Once the show started, we were immediately transported to another world that hovered between dreams and reality. Hovered is a watchword, because many of the performers hung, dove and flew through the air. 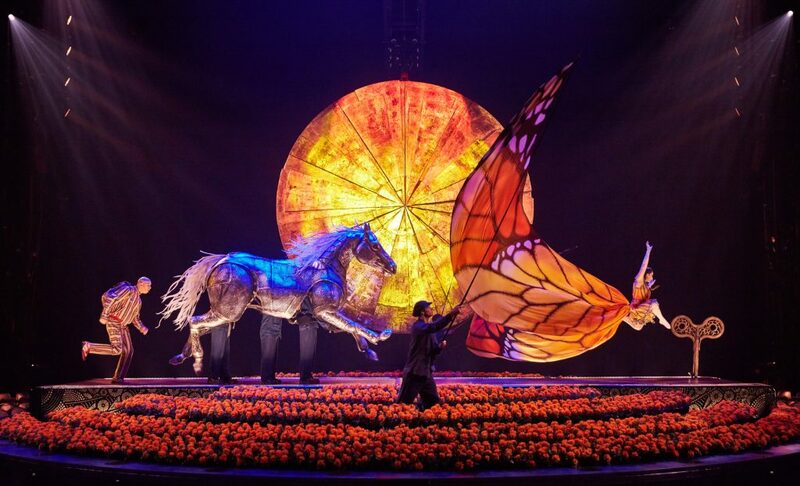 “Luzia” begins with a parachutist free falling from the sky who lands in a field of flowers. He turns a giant key, and the magic begins. 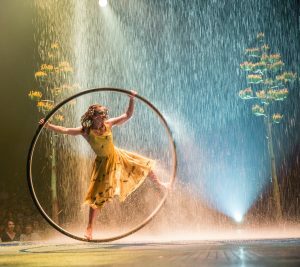 “Luzia” is more than a series of unusual acts. 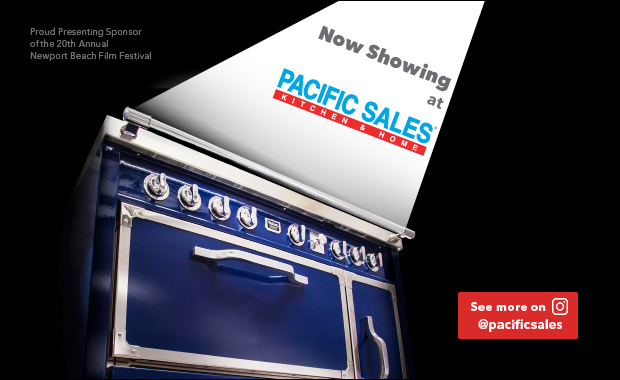 The show unfolds like a surrealistic yet colorful daydream, with seamless segues that move the story from one element to another. There’s a running woman who spreads her giant butterfly wings as she is chased by a silver horse, hoop divers on treadmills, a hand-to-hand act, and then a dazzling dreamy performance featuring a trapeze artist dangling over a woman on a Cyr wheel who perform in unison as it begins to rain on stage (the first time a traveling Cirque du Soleil show has incorporated rain). Alternating between humorous encounters and stunning athleticism, the show (which runs more than two hours with an intermission) flows like a lusty zephyr that captures the emotions of the music and the movements of the mesmerizing performers. 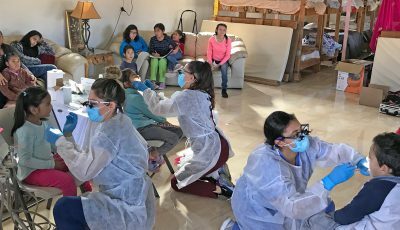 “I agree—this was not simply one act after another, but an exotic and entertaining experience that keeps you in suspense from start to finish,” said Christopher. 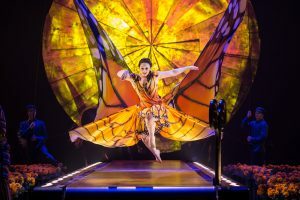 Tickets for “Luzia” start at $56. Visit cirquedusoleil.com. For information on SOL Cocina, visit SOLCocina.com.